This short par 4 offers a few different options from the tee. 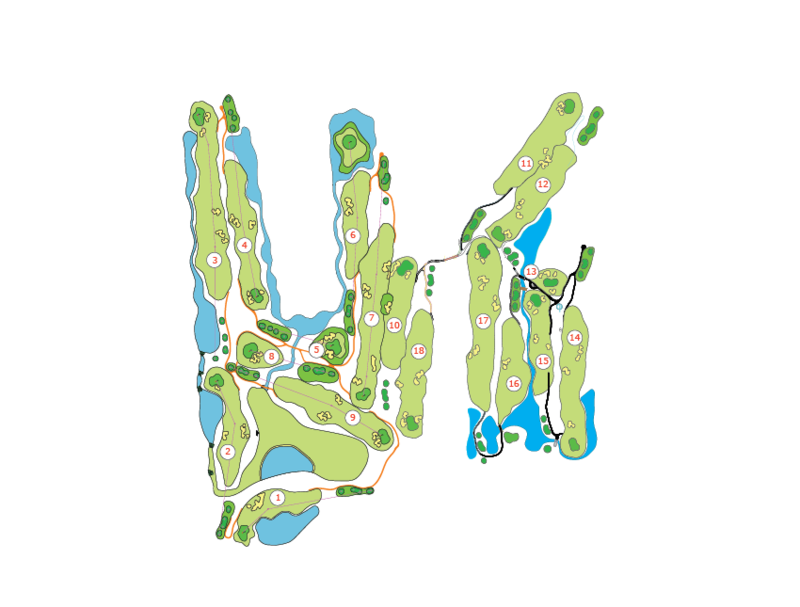 The green is drivable for the brave but a more considered option is to play a fairway wood to the left centre of the fairway, leaving just a short pitch up the length of the green. The green has a number of rolls to it but a birdie is imminently possible with well executed shots. A really interesting start to the back nine. Arriving to the 11th tee the golfer starts to feel the dramatic land movement created for these exciting holes. This longish par 4 plays down into an amphitheatre style valley and then up to the green. The drive is best located on the right side of the fairway, close to the bunkering, to give the best approach to the green. Bunkers protect the left front of the green and must be avoid by the golfer. A par on this hole is a good score. Playing from an elevated tee this long-ish par 4 hole represents a stiff challenge to the golfer. With a lake on the left and bunkers to the right the importance of a straight drive is paramount. Once on the fairway the approach to the green with a medium iron is uphill and requires great accuracy as bunkers protect the front of the green. A large and well contoured green awaits the careful putter. Despite being the shortest par 3 on the course this hole, being 131 yards, it still packs quite a punch. Over the lake and a green surrounded by bunkers gives the golfer a lot to think about on this short iron tee shot. The back left pin position is the most difficult with a large mounding protecting the entry to the green. The large green is not overly contoured and a birdie putt very achievable. 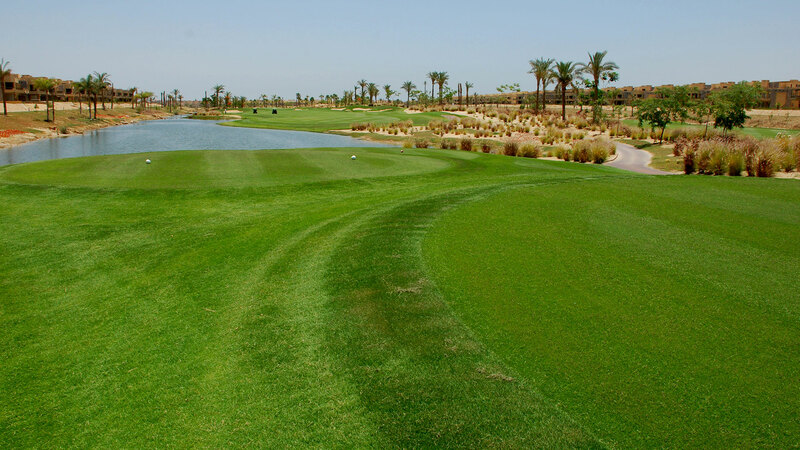 Playing back towards the Red Sea this long par 4 is without doubt one of the most difficult holes on the course. A long accurate drive between bunkers left and right is required, as well as a lake running the entire left side of the hole. The approach to the green with fairway wood or long iron is to a fairly open green complex with a sole bunker protecting the short right side of the green. 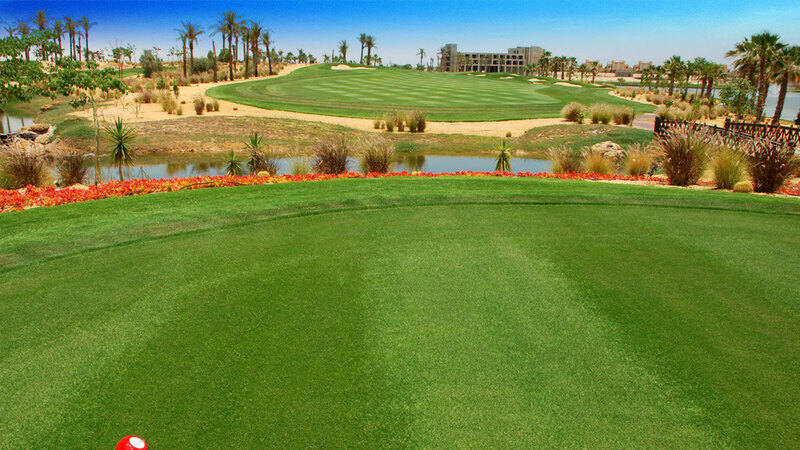 Turning back away from the Red Sea this short par 4 offers a number of options from the tee. 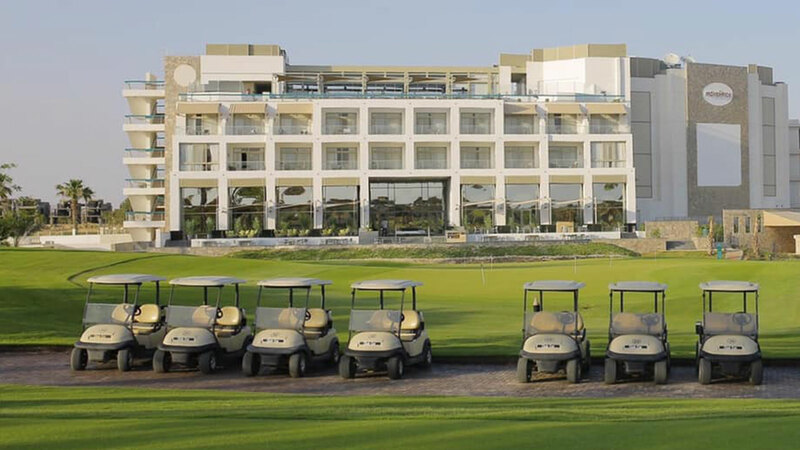 Lay up short of the fairway bunkering or tempt fate and try and drive up close to the green. Whatever decision made off the tee, accuracy is required, as a stream also cuts through the left side of the fairway. A short iron approach to a multi plateaued green offers another defence to this hole. Birdies are possible but beware. This medium length par 4 is quite wide off the tee and encourages players to drive the ball as far as possible. A right to left drive over the carry bunker on the right side of the fairway leaves a short iron approach to the unique ‘island’ green complex. A large and relatively flat green offers lots of chances for holed putts. 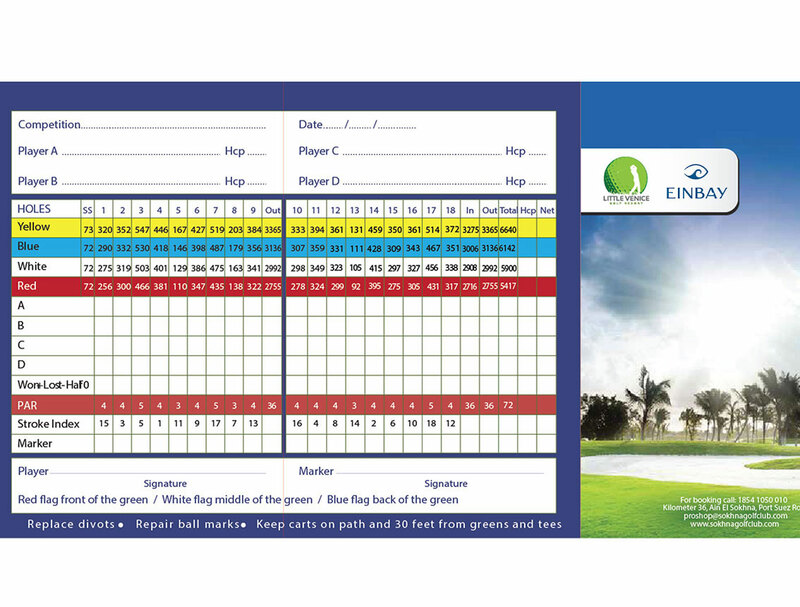 The penultimate hole on the course is a strong par 5 which will ask a number of questions along the way. The first being the tee shot which asks the golfer to play to the right of the imposing fairway bunkers carved into the left side of the fairway. The second shot can be played conservatively and short of the green or if long enough the golfer can attempt the green in two shots. The natural slope of the hole will feed balls in from the right. 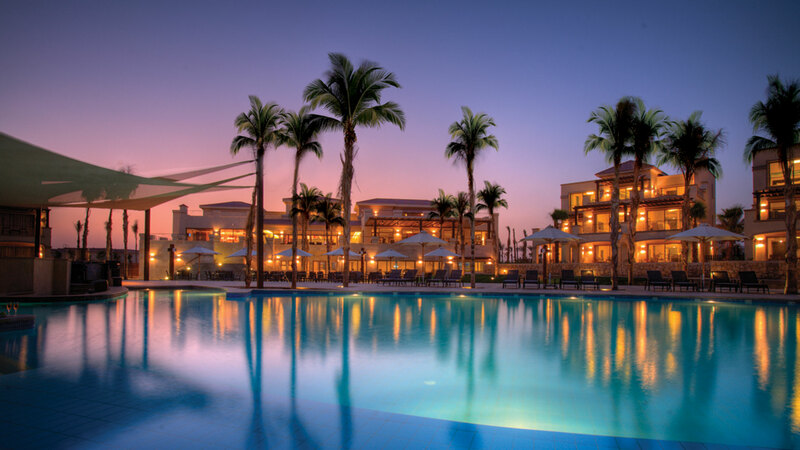 An elevated tee gives splendid views of the golf hole, clubhouse and Red Sea in distance. The drive area is fairly wide and encourages a long hit. A medium iron to this slightly elevated green awaits for this final hole. Deep greenside bunkers are to be avoided and once on the green putts must be well read and studied as subtle breaks can be found on this final hole. We hope you enjoyed your round and see you again soon.